Top-toberfest in winding up, with only a few posts left I'm a little bit sad. But today I have a fun project for you. I call it the Granny Hoodie, it features delicate lace trim, and a little vintage applique that I inherited from my grandmother. There's nothing quite as cozy as a hoodie on a cold day, and this sweatshirt fleece is so soft. I LOVE it. A better look at the lace trim and the applique. I was really tempted to add elbow patches as well, but in the end left them out. Since I draft most of my own patterns, I sew as I go, plans change, and things aren't always documented as well as I'd like. This isn't going to be the most detailed tutorial, but hopefully it will give you a good enough idea to construct your own. I drafted the pattern for the hoodie using an existing sweatshirt. By tucking in the sleeves, and folding the sweatshirt down the middle, it's pretty easy to draft front and back pieces. To draft the sleeves I followed the curves of the sleeves and the arm scythe. 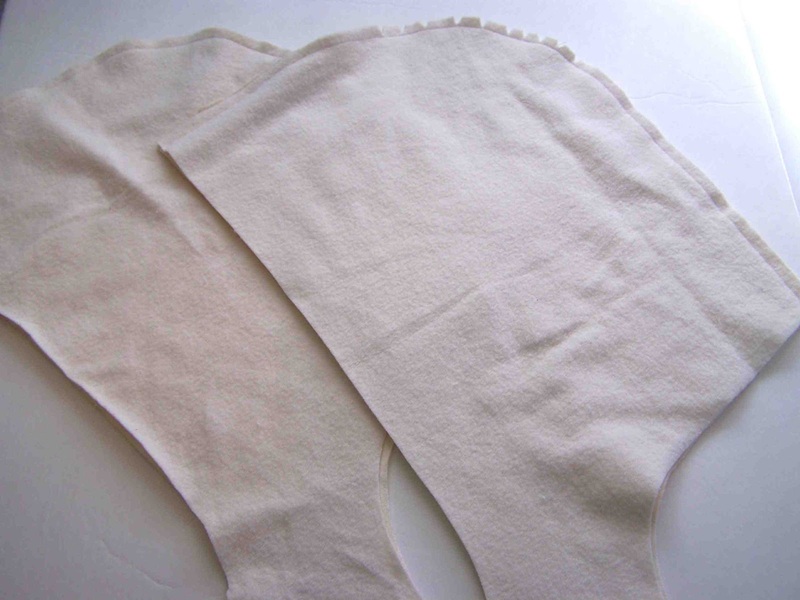 Seam allowances were added where they were needed. On the front bodice piece I needed to create a notch for the hood pieces. To do so I determined how wide I wanted my hood tabs/tails to be, and divided it in half, as my pattern is cut on the fold. Seam allowances were then added to my bodice pattern piece before cutting out the notch. 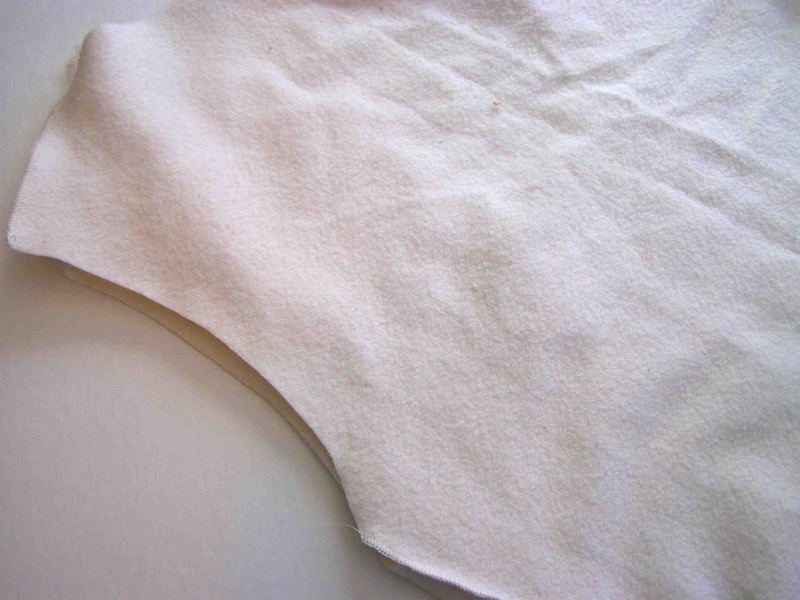 For the hood pattern piece, I traced my basic hood shape, and then added the needed material to connect at the notch. 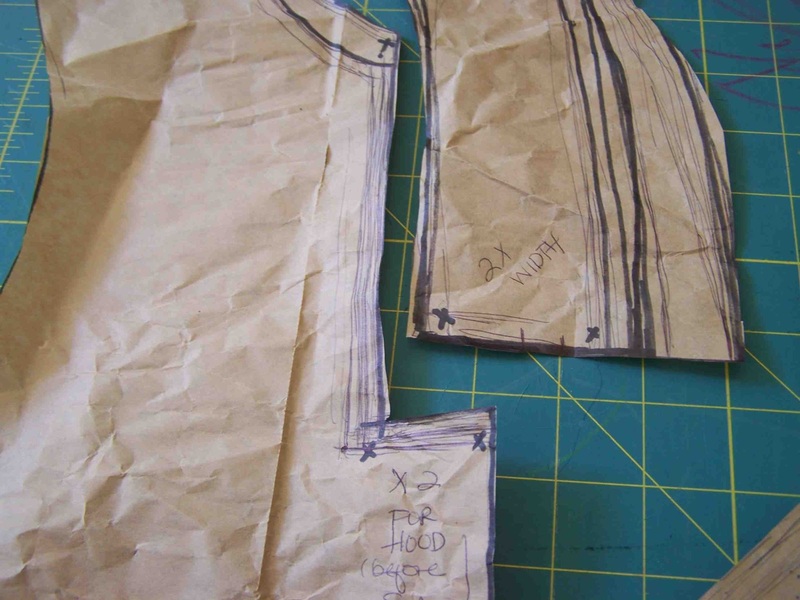 Tails should be 2 times the width of the bodice notch pieces, as they overlap, and are not cut on the fold. I also drafted a small front pocket. 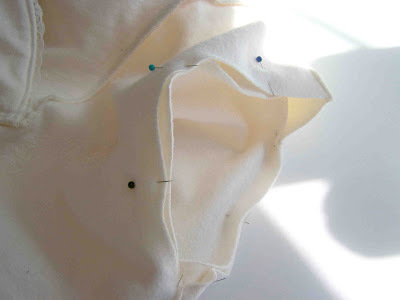 Begin by sewing your hood pieces along the curved back edge. Notch the curves to allow for turning. Press the seam open. Turn hood and lining pieces right sides out. 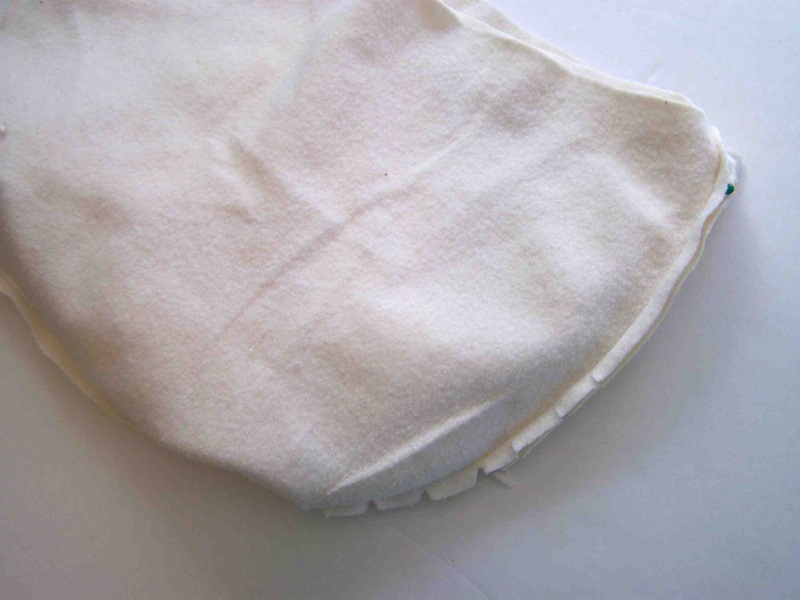 Place the hood and lining pieces right sides together. 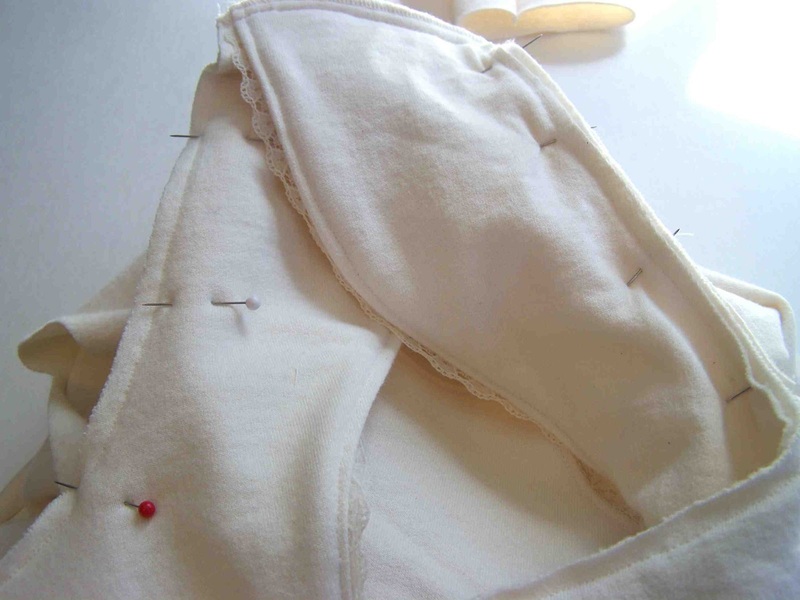 Pin at center seams. Sandwich the lace trim between the hood and lining pieces, raw edges matched up. Stitch along the outside edge, securing trim as you go. Turn hood piece out, Press seam flat. Topstitch along the newly sewn seam, and along the tail and back hood edges. Doing so will secure your hood layers. 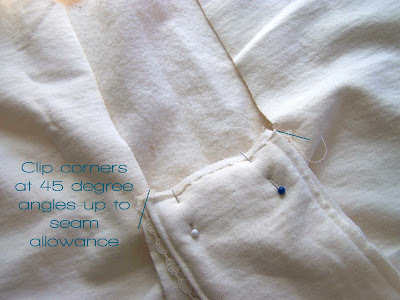 Place front and back bodice pieces right sides together, and sew at side and shoulder seams. Turn right sides out. Clip the front bodice notch at 45 degree angles, in the notch corners. Do not clip past seam allowance. 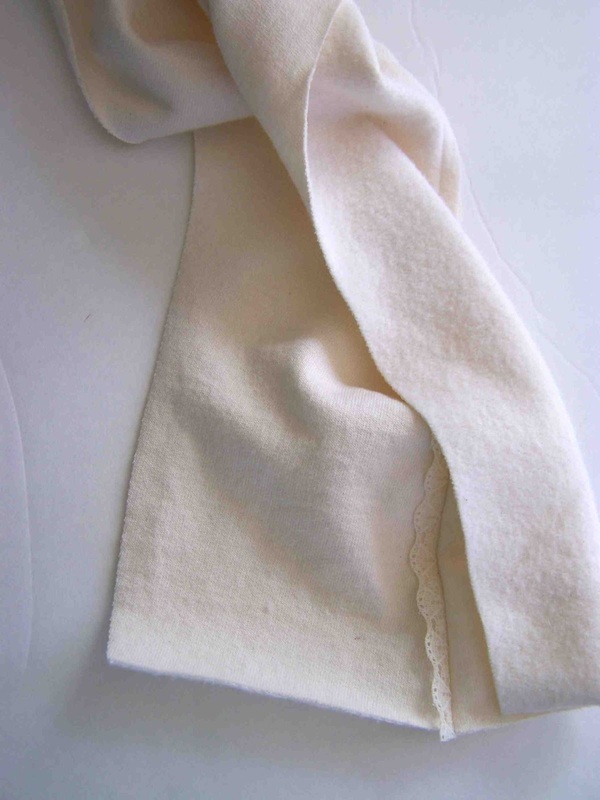 Overlap hood tails, and pin raw edges to the bottom raw edge of the front bodice notch. Stitch in place. 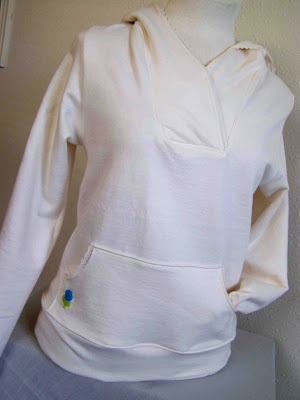 Pin the sides of the tail to the notch sides, and pin around the neck of the sweatshirt to attach the remaining sections of the hood. Stitch in place. 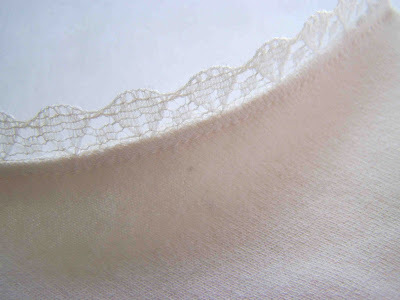 Attach lace to the curved edges of your front pocket. Sew the bottom edge along the raw edge of the right side of the material. Turn the edge under so that the trim peeks out, and raw edges are hidden. Topstitch. Turn and press under the remaining top and side edges of the pocket. 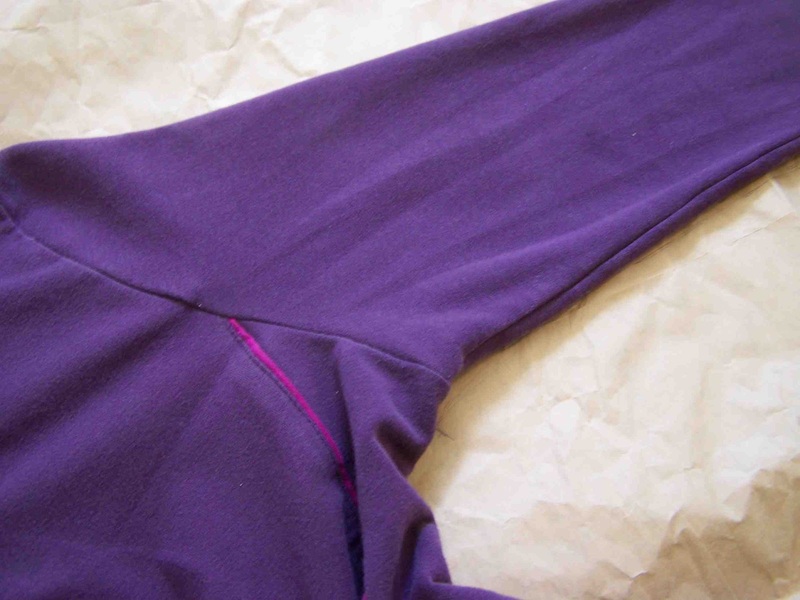 Position pocket on sweatshirt, and stitch in place. 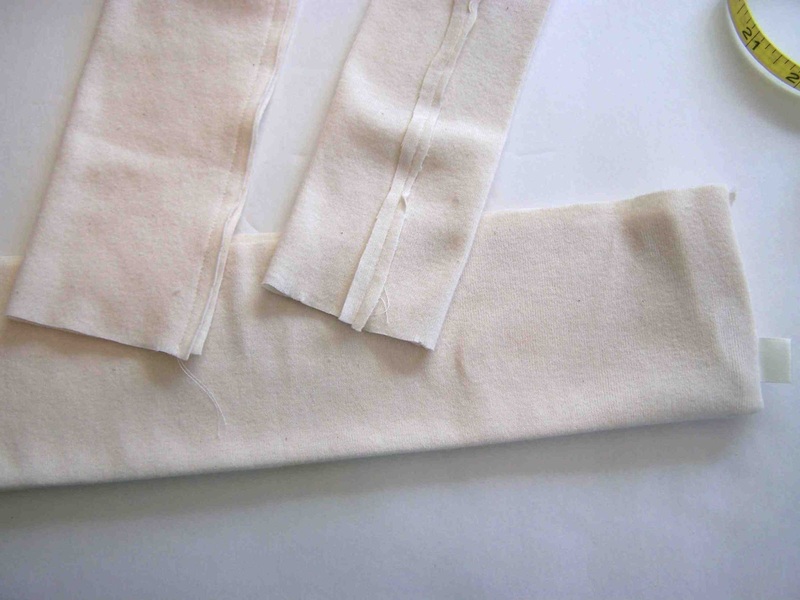 Fold sleeves in half along fold, sew side seams. 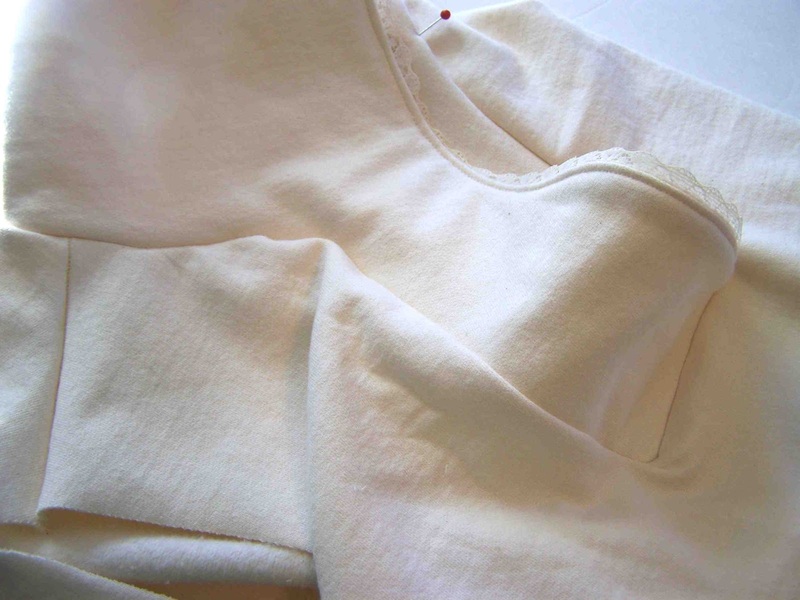 Turn sweatshirt inside out. With sleeves right side out, insert them into arm scythes. 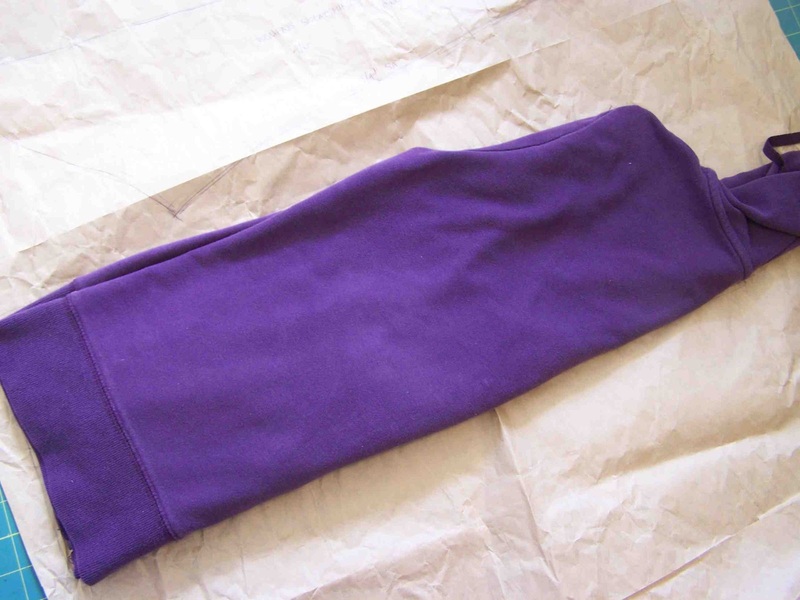 Match up side seam of sweatshirt with bottom seam of sleeve. Pin. 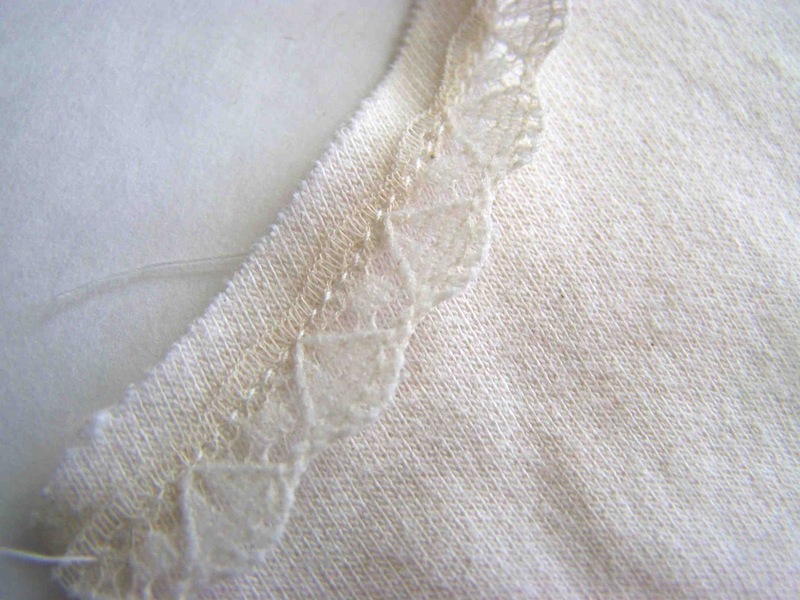 Starting at the seams, stitch around the arm/sleeve. Add waistband and arm cuffs. 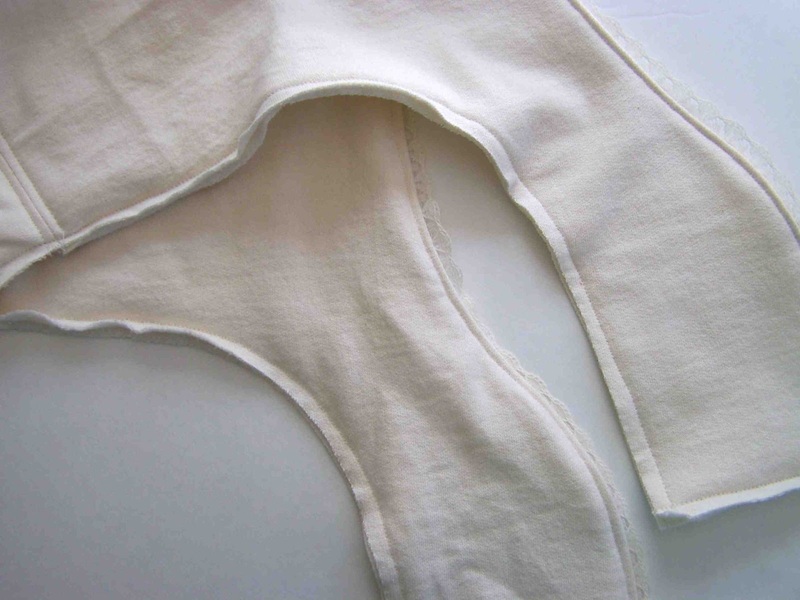 Cut cuffs and waistband 2 times the desired width, plus 2x seam allowance. Cut them 3/4 the length of the bottom edge of the sleeve or sweatshirt, plus 2x seam allowance. 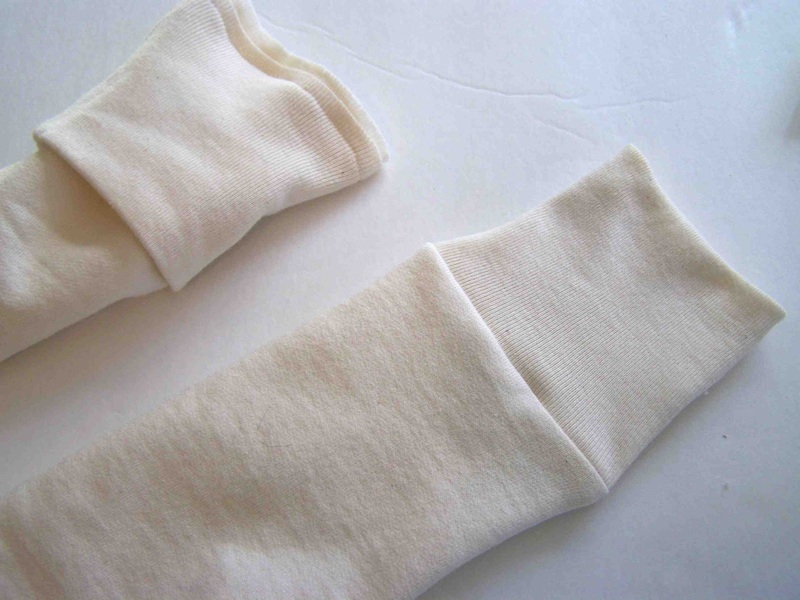 Fold the ribbed knit in half, to form a tube. Stitch. Press seam open, fold in half to double up, press. 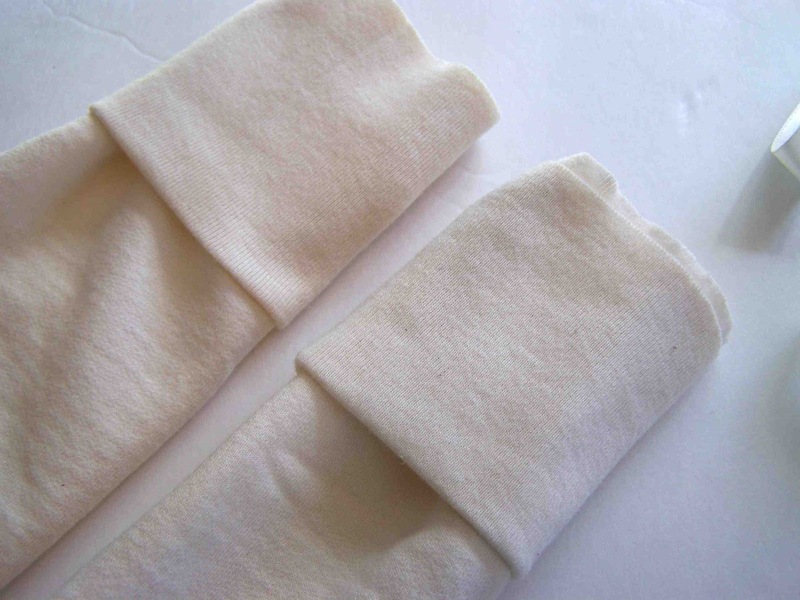 Insert cuffs over sleeve edge. Line up raw edges. Stitch the armband to the sleeve. 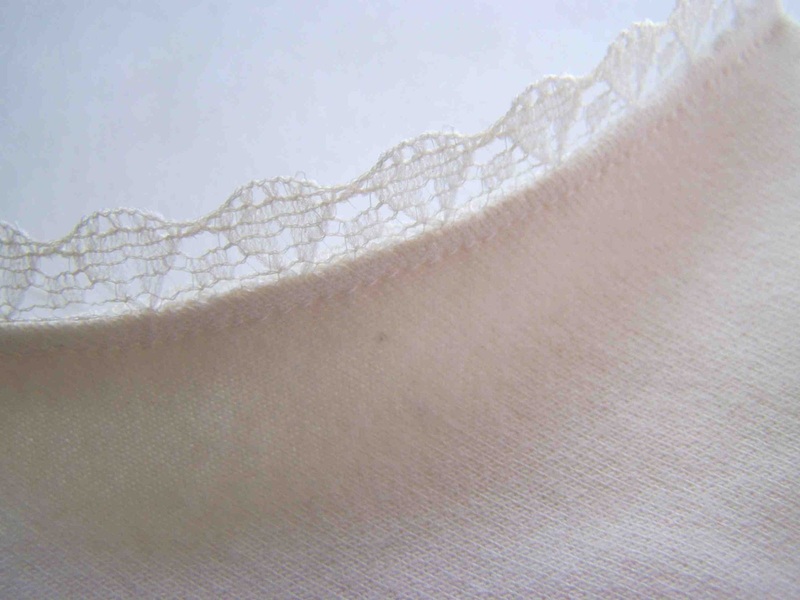 Press seam up. Repeat this process for the waistband. Ribbed knit will be stretched as you attach it to the sweatshirt, doing so will allow you to make up for the discrepancy in size, and pull in the sweatshirt at the bottom. 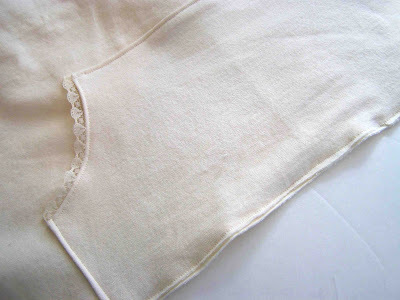 To make sure that the ribbed knit is evenly distributed, divide both the sweatshirt and the waistband into quarters, and pin. 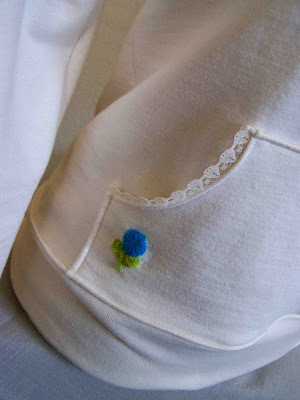 Attach an applique if desired, mine is attached by hand. How fun! 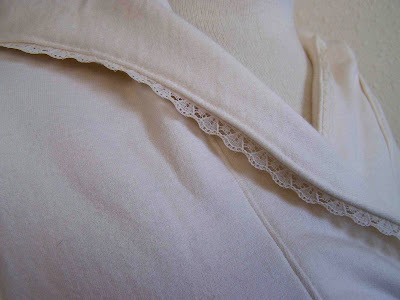 I never would have thought of adding lace to a hoodie. =) I really like how you did the tail ends of the hood. It's a fun detail, and it also would make the hoodie easy to get on and off without fastenings. I love this! I really like how you drafted the collar. I saw a hoodie kind of like this at Banana Republic with the same placket. They didn't have the color I wanted. Maybe I should just make one! Where did you get your fabric? I love that you sew so many knits because they are super easy to work with (once you get used to it). Where do you like to shop for knits? This is so cute! Thank you for sharing your how to. 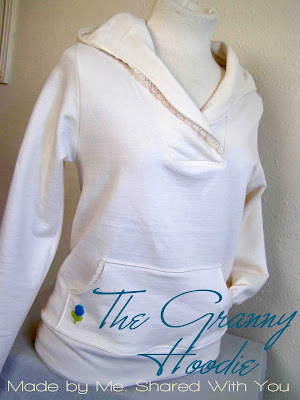 Sweatshirts can be so unfeminine, but this one is so feminine! This is so beautiful! It looks incredibly comfy and feminine; love it! 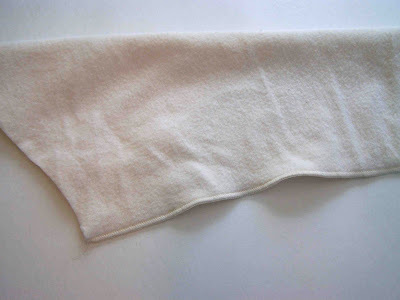 rUNNING TO GET THAT PIECE OF HEAVY KNIT AND MAKING THIS toDAY!